I’m currently on vacation and I had reason to visit my library. Guess what I unearthed? 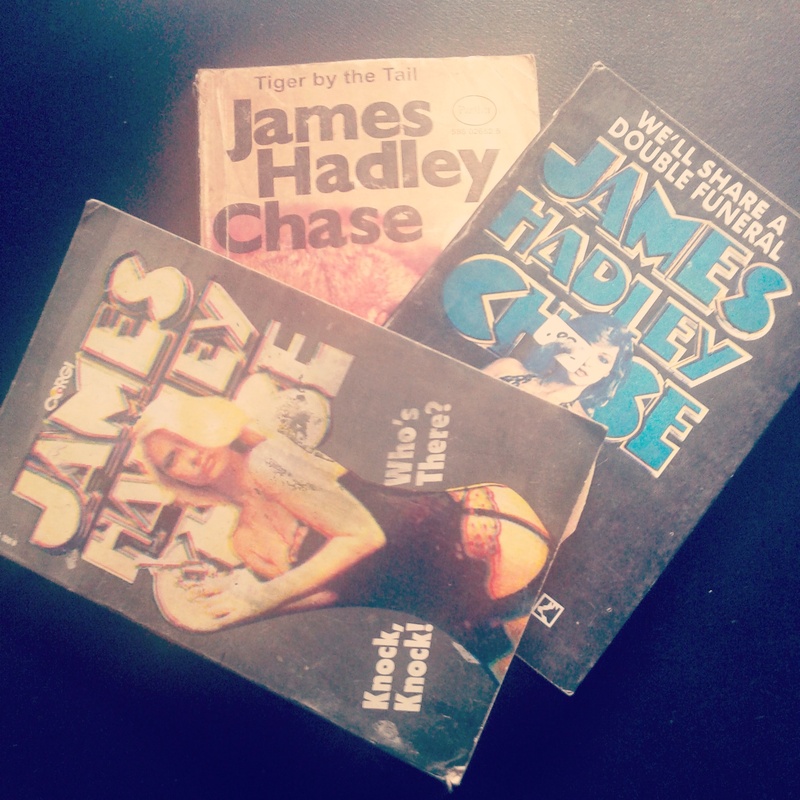 Don James Hadley Chase’ books. I can’t begin to explain what role JHC played in my reading habit. I wasn’t always a reading freak. I hated books. School literature bored me to death. One faithful day in Junior Secondary School, a friend gave me a “pamphlet” novel with the title The Vulture is a Patient Bird by James Hadley Chase. I was amazed how intriguing and interesting I found the book. That was the beginning of my voyage into crime/thriller/detective novels. I enjoyed the book so much that I started hunting for other JHC’s books. And over the years, I have read quite a handful of his books. Having enjoyed JHC books, I ventured into – or should I say, I was introduced to Mario Puzo’s The Godfather. And boy! Did I enjoy another work of literature! Till date, I still think both writers are my favourite crime writers. There’s been this debate amongst my circle of “literature friends” who between James Hadley Chase and Mario Puzo is better. Many have voted against JHC just because his books are usually small. I don’t think this is a good criteria for judging the writer. In fact, if anything, the fact that he tells fascinating plots in such few pages should be a credit to him. The suspense in JHC books is always riveting to say the least. I have only been disappointed by just one of JHC and that was “Knock Knock! Who’s there”. There was no twist to the end of that book, which is a stand out characteristic of every JHC’s work. It ended like a typical Nollywood ‘blockbuster’ – you expected the end. Well, I have also been disappointed by one of Mario Puzo’s works too. And that was the book “The Last Don”. I know you might have a different opinion, but that book didn’t go down too well with me. Maybe it’s because it was his next work I read after The Godfather. Maybe I was expecting so much more after the treat I got from The Godfather. Humans are quite insatiable, I tell you! Whew! Which of the two authors is your favourite? Mario Puzo. At least his works were well researched, more fact than fiction literature. He achieved what no one did during his time and very few could manage after it – reveal the lives and loves of the mafia in such a compelling way to have given members of organised crime a soul. The man made murder appealing. JHC was engaging but seemed like an intro to commercial crime writing. He wrote about American gangsters but had reportedly only been to the country twice. One was in transit to another country. Lol @ the man made murder appealing. I agree with your comparisons of both writers. Thanks for stopping by. I have fond memories of reading both authors as a teenager. Mehn, those were the days. I’m not sure I can choose between them though. @ Kiru Taye, I understand your dilemma. Been there. But if I had a gun pointed to my head and I was asked to make a choice, I would go for…… Hold that thought for a second.